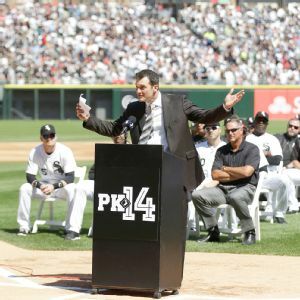 Paul Konerko, Chicago's reluctant superstar, had his No. 14 retired Saturday by the White Sox before their game against the Minnesota Twins. The White Sox will retire the No. 14 uniform of retired captain Paul Konerko. Retiring White Sox star Paul Konerko and Philadelphia shortstop Jimmy Rollins were picked Friday as the first co-winners of Major League Baseball's Roberto Clemente Award. CHICAGO -- Paul Konerko's career was defined by hard work, consistency and his leadership skills, all of which were lauded as his playing days came to an end last month. Former White Sox DH Paul Konerko dishes on the unveiling of his statue at U.S. Cellular Field, what his last game was like, his decision to retire and the team to beat in the AL. 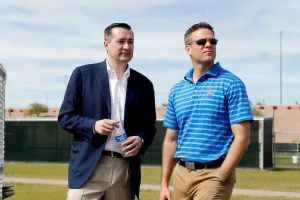 CHICAGO -- Chicago Cubs president of baseball operations Theo Epstein, the architect of Chicago's greatest rebuilding project since the Great Fire, is understandably very optimistic on the team's long-term future, as he explained once again in a news conference Tuesday. CHICAGO -- Patrick Sharp wouldn't mind ending his career with the Chicago Blackhawks just as Paul Konerko did with the Chicago White Sox.Sharp, who has been with the Blackhawks since 2005, said Tuesday he's appreciated Konerko's loyalty to the White Sox. CHICAGO -- Paul Konerko has played in six All-Star Games and a World Series and was an MVP of an American League Championship Series. 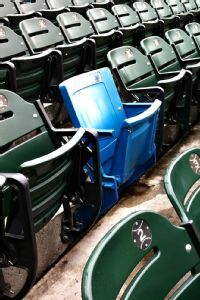 Yet the three games he played this weekend against the Kansas City Royals may have been the toughest of his career.